The popular and versatile English-made Dainite studded rubber sole has been a feature of many of Daniel Craig’s shoes in his James Bond films. Most English shoemakers, as well as many other quality shoemakers around the world, use this sole on their shoes when they desire an alternative to leather. Dainite soles have become such a standard in the shoe industry that they deserve to be mentioned apart from other rubber soles. Their design is also so unique that it is not fair to compare them to any other rubber soles. The Dainite sole is one of the most elegant alternatives to a leather sole, with approximately the thickness of a double leather sole. A double leather sole is the traditional sole found on traditional country brogues. With the feet on the ground, there is visually little difference between a leather sole and a Dainite sole. Just like a leather sole, the Dainite sole can be stitched onto a shoe, which is not possible with many rubber soles. This means that Dainite soles can easily be replaced, or that leather soles can be replaced with Dainite soles. A Dainite sole should not be added on top of an existing leather sole. Because leather soles perform poorly in the rain, rubber is a popular alternative. Lightly textured rubber that looks like a dressy leather sole is usually soft, which is comfortable and has purchase but wears down quickly. If a lightly textured rubber sole were instead hard to give it an extended life, it would provide no traction. The best-performing leather soles are lug soles, which are heavy-looking with deep indentations, but those belong on sports and work shoes and boots, not on dress shoes. The Dainite sole is an alternative to a traditional leather sole for those who want a slim line and some grip. 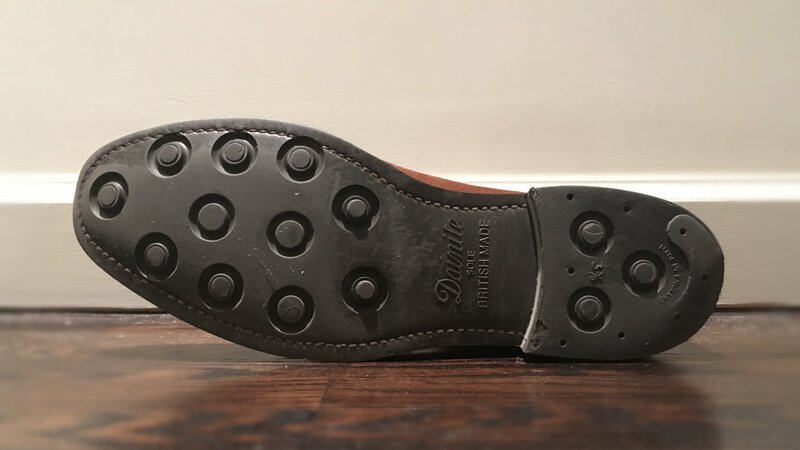 The studs on the Dainite sole are what gives it grip. The sole features 11 or 12 studs on the front of the sole as well as three studs on the heel. At the back of the heel is a semicircular protrusion that acts like a tap to slow wear to the heel. The stud design does not hold dirt like a lug sole does, so it stays clean. Stiff rubber gives the Dainite sole a very long life, approximately two to three times as long as a leather sole. The stiffness of the rubber, however, means that it won’t have as much traction or as much comfort as many other rubber soles. Because of its rigidity, the Dainite sole is no more comfortable than a leather sole is. It will break in a little, but a brand new Dainite sole is stiffer than a new leather sole, and a broken-in leather sole is softer and more flexible than a Dainite sole ever will be. Cushioned inserts can help if a Dainite sole is too stiff. The traction of a Dainite sole is better than a leather sole, but people have varying experiences with the sole in that regard. I find the traction to be slightly better than a leather sole in wet weather and considerably better in dry weather. On pavement the Dainite sole performs exceedingly well, but on smooth tile it can be almost as slippery as a leather sole is. Wet weather is the main reason most people should wear Dainite soles over leather. Dainite soles are better than leather soles in the rain simply because the sole is waterproof and does not wear down faster when wet like a leather sole does. The Dainite sole performs well in light snow, but lug soles are necessary for heavy snow. Being rubber, the Dainite soles is easy to clean, if it ever even gets dirty. Dainite soles come in black, sepia brown and red. Black and sepia brown are typically used on dressier shoes and match the colour of the shoe. The red sole is a fun choice for sportier shoes. The Dainite sole is most versatile and can be used on both dressy and casual shoes. Because the Dainite sole looks nearly as elegant as a leather sole, it is fantastic on many dressier styles of shoes. It complements derbys, monks, chukka boots and Chelsea boots perfectly. They are not ideal for most oxfords (the closed-laced type of shoe that Americans call balmorals) because oxfords are the most formal type of shoe and should have a lighter look. This is a matter of taste. Full brogue oxfords are the only type of oxfords where Dainite soles look at home. Dainite soles are also not a complementary sole for loafers because loafers typically have a lighter look that necessitates a thin sole. 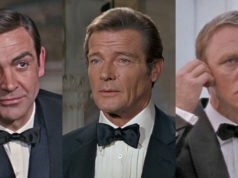 The Dainite sole’s grip and its hard-wearing and waterproof properties combined with an elegant profile are why it is so perfect for James Bond. 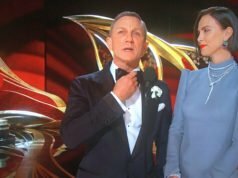 Daniel Craig has worn them in his James Bond films on shoes that he wears with his suits and on boots that he wears with casual dress. In Quantum of Solace we see Daniel Craig wearing the Church’s Ryder III brown suede chukka boot with Dainite soles with his casual clothes. 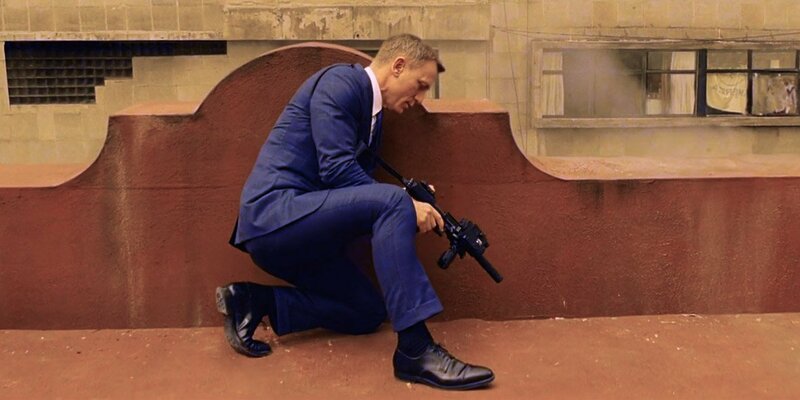 The sole helps James Bond through many action scenes throughout Quantum of Solace. Daniel Craig’s black calf Crockett & Jones “Highbury” and “Norwich” derby shoes, which he wears with most of his suits in Skyfall and Spectre, respectively, feature black Dainite soles. Craig’s Crockett & Jones “Tetbury” black calf chukka boots in Skyfall and his “Camberley” black calf double-monk boots in Spectre also feature Dainite soles. Though Craig wears the two boots with his suits, these models can also be worn just as well more casually. The leather sole is not missed with these shoes and outfits. In Skyfall and Spectre the traditional leather sole is saved only for the Crockett & Jones “Alex” black calf wholecut oxford, which is worn for black tie. Wholecuts have a sleek look that demands a sleek leather sole. No matter how versatile the Dainite sole may be, it still has no place in formal dress. Having just owned and still breaking in a new Dainite [outsoled] shoe with a leather midsole, I agree that the stiffness is something to get used to. It is definitely stiffer than any [welted] double leather sole due to the nature of the rubber. However, for me the benefit it brings when I am required to walk on wet or questionable paths is priceless, compared to any leather soled shoe even those with Topys! While they can certainly be added on top of a midsole, that’s not the same thing as adding them on top of an existing single sole. Another top quality and informative post. I experienced first hand the lack of grip and stiffness that brand new Dainite soles have. I unfortunately wore my new Sanders chukka boots to a nightclub. Walked down the steps to the dance floor, and as soon as my heel made contact with the drink-slick floor, my legs shot out from under me and I feel in a heap in front of a packed dance floor. Now that the soles have worn in after further wears, the grip and comfort is much improved. Ouch! Probably better to wear Dainite out on concrete a bit first. Thanks for the anecdote, I will wear any future Dainite soled shoe purchases accordingly. But does the stiffness ever wear out? That hasn’t been my experience! I recently bought two pairs of Crocket & Jones Dainite soled shoes (one being the ‘Spectre’ Norich) and I love them. Not cheap but they both look far superior to those awful tan shoes everyone seems to wear at work these days. Not had any grip issues but they are certainly hard soles as I sound like an elephant whilst walking about the office! Not suitable for any Bond like sneaking.